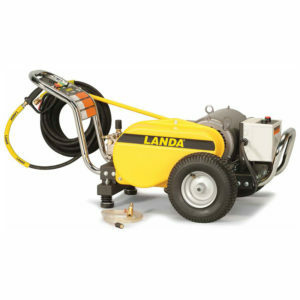 The HOT is the most economical choice of Landa Karcher Group’s electric-powered, diesel-heated hot water pressure washers featuring the heat-efficient horizontal coil. It is also the only line among those with a horizontal coil design that has a true steam cleaner, or steamer—the HOT3-30036D. 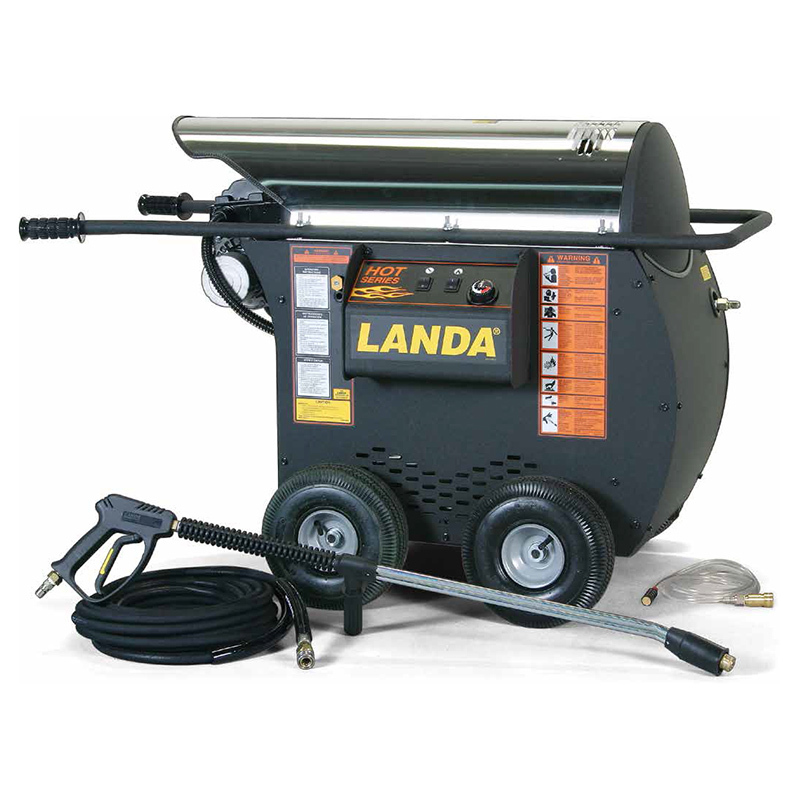 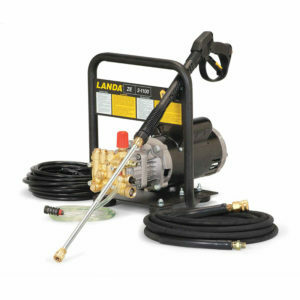 The HOT boasts many of the same quality components of Landa Karcher Group hot water pressure washers, including a tri-plunger high-pressure Landa Karcher Group pump with 7-year warranty (on most models), Schedule 80 heating coil made of 1/2-inch pipe and easy access to pump and motor. 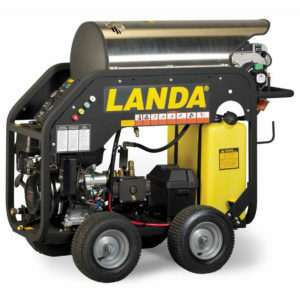 All of the HOT models weigh less than 500 lbs. 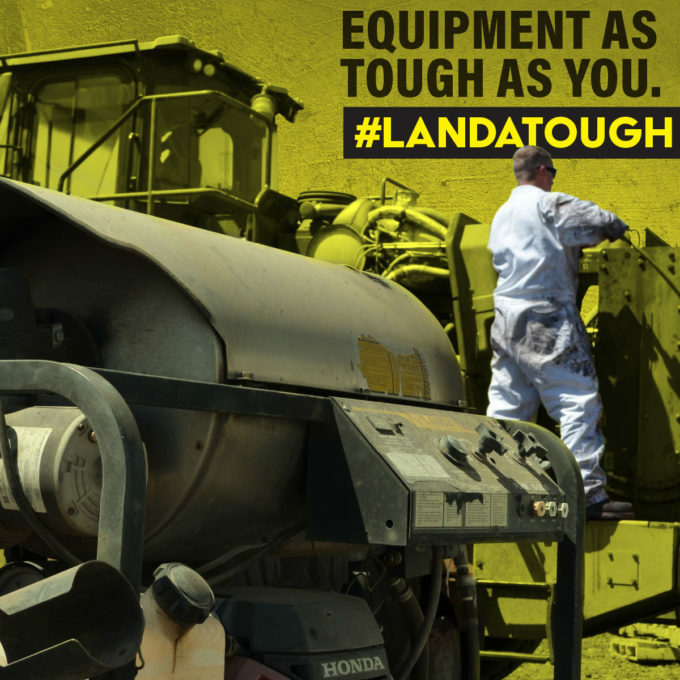 and are evenly balanced on four leak-free, tubed, pneumatic tires for easy maneuvering in any terrain. 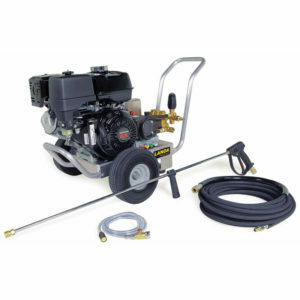 Waffle grips on the two steering bars add to the HOT’s portability.